Thanksgiving Essential Baskets Thank You! 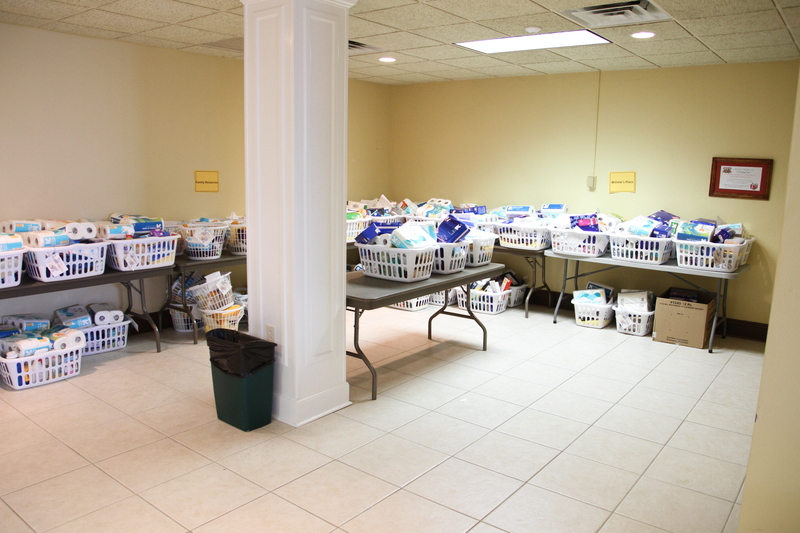 The second year of Thanksgiving Essential baskets was a huge success! 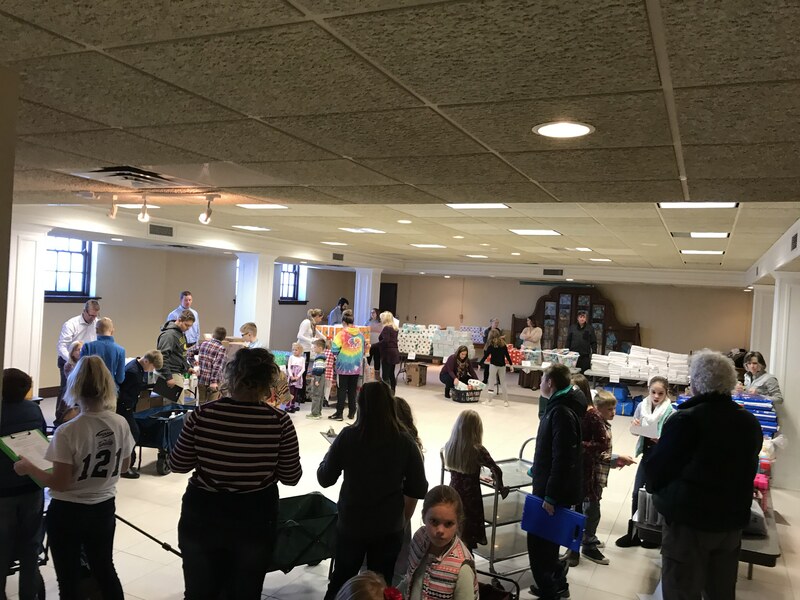 Thanks to the generosity of our congregation, we gave 122 baskets to eight local agency partners to distribute to the populations they serve. 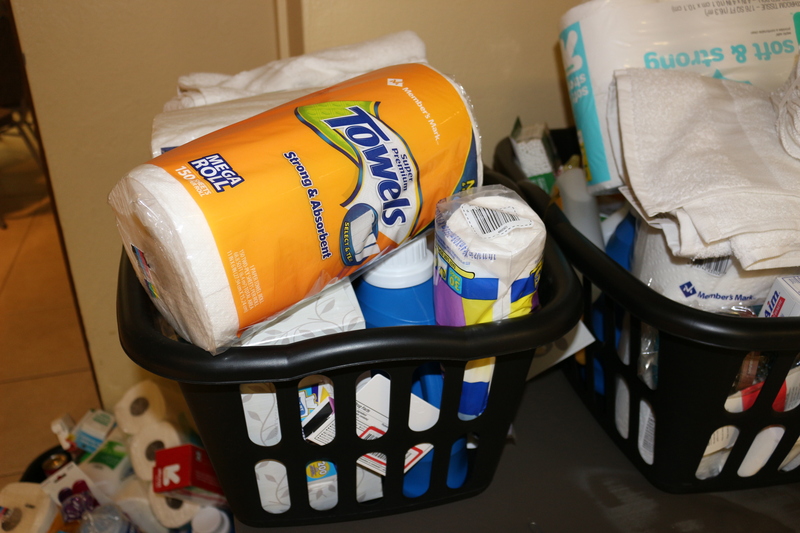 These baskets contained a variety of non-food items such as laundry detergent, dish soap, shampoo, body wash, and other personal hygiene items. 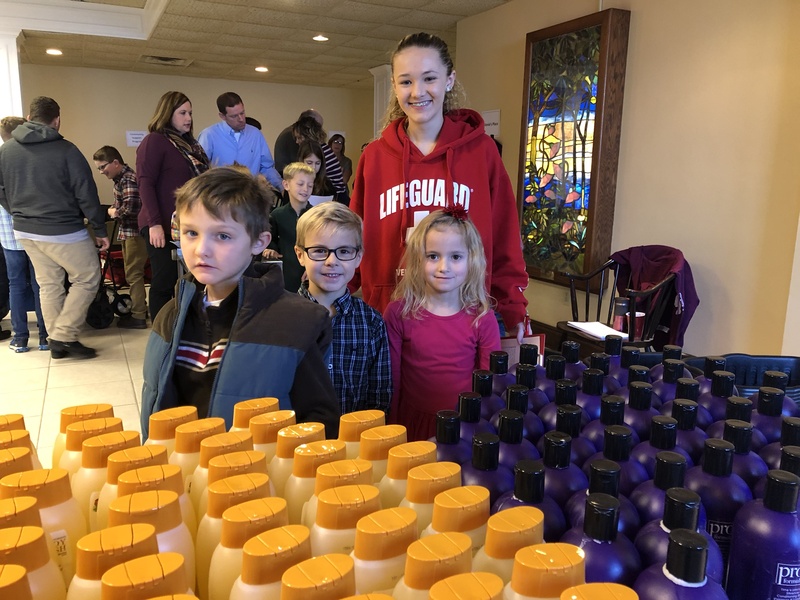 On November 18th, with the guidance of adult volunteers, the youth of the church worked diligently during their Sunday school hour to fill the baskets with a mixture of items tailored to the needs of the local agencies. 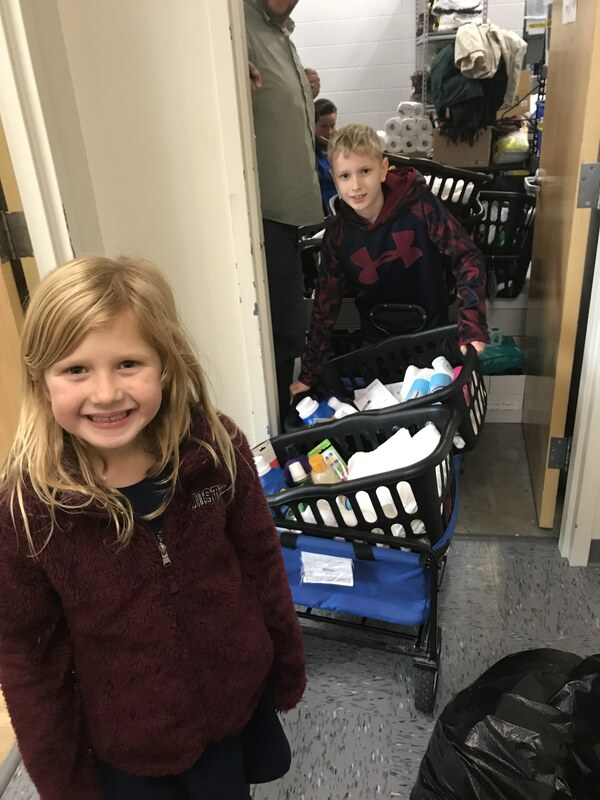 Families then delivered the baskets over the next two days before the Thanksgiving holiday. Our young people and their families were warmly welcomed and thanked for their generosity and received an education about each agency partner and the population they serve in the process. 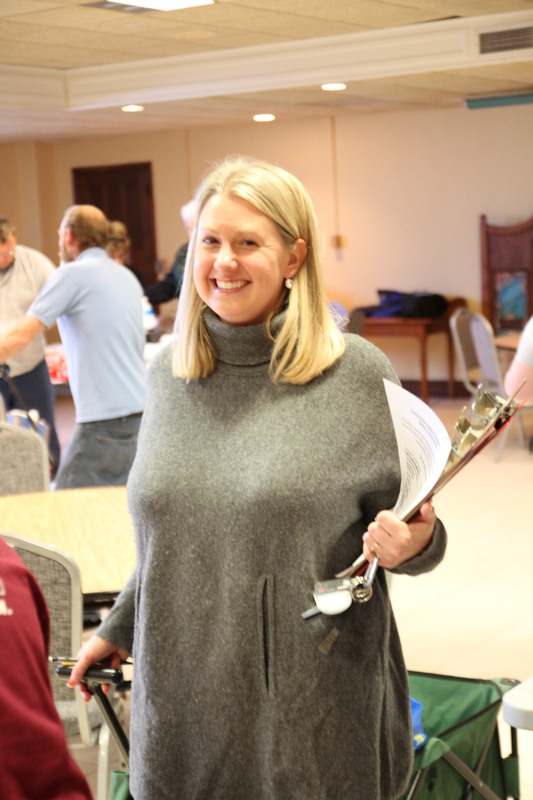 “Donations like yours directly benefit children and families who are part of the agency’s caseload, as well as others throughout the Quad Cities…Thank you, friends at First Congregational! Your kindness is greatly appreciated.” Bethany for Children & Families. “Thank you so much for our Thanksgiving Essentials Basket! I will use everything including the basket itself. How kind of you to do something so thoughtful for all of us ladies at Winnie’s Place. Happy Thanksgiving.” Recipient from Winnie’s Place. Click on the images for a bigger version. Thank you to all of the families and young people who helped deliver baskets!